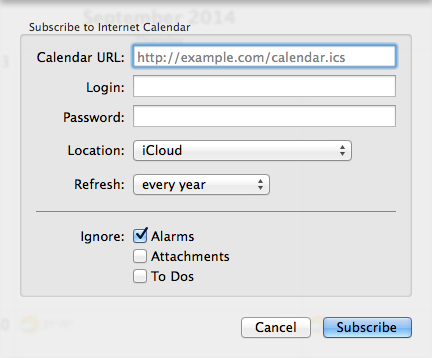 This video shows you how to subscribe to the MacBites calendar in a few easy steps using BusyCal in OS X. The steps required are also detailed below the video for your reference. 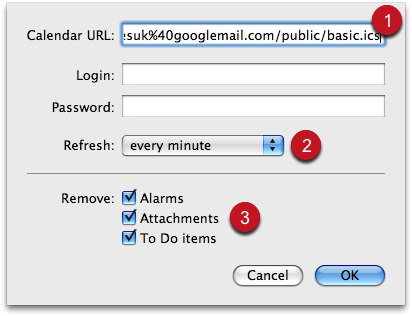 Select File > New Calendar Subscription from the BusyCal menu. 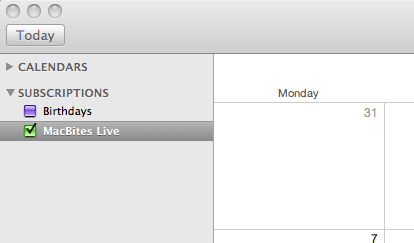 The MacBites Live calendar will now be displayed in the Subscriptions section of BusyCal.